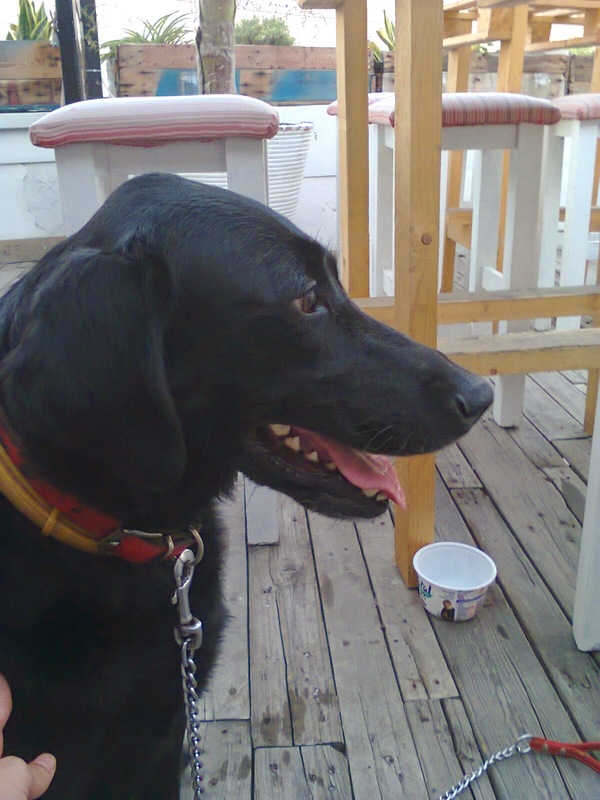 Trying to watch the games while out and about in Larnaca with my large dog has been a challenge. We have found a couple of favourites, and it has motivated me to try out a few different places that I had noticed but hadn't got around to. We have also been turned away from quite a few! 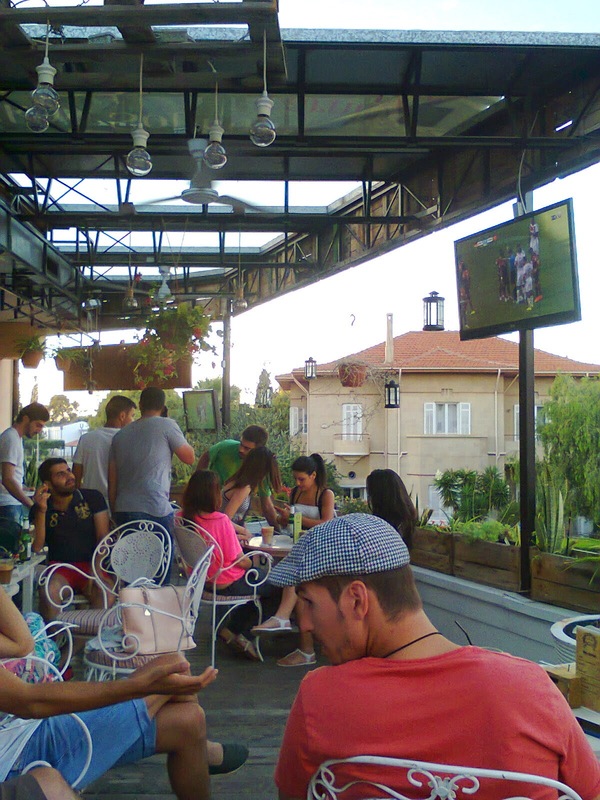 While trying to catch Germany vs Portugal last week, the bar I had planned to go to was closed, the game begun, we were turned away from several places, and I was feeling hot and bothered trying to watch on a distant screen from outside a popular coffee shop... when I heard the commentary from the neighbouring rooftop cafe bar Le Jardin, and decided to give it a go. 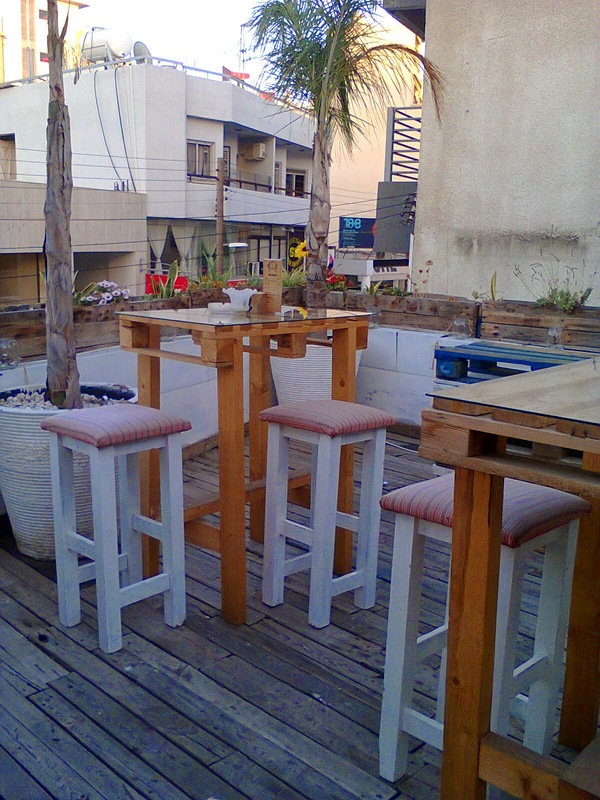 Le Jardin Cafe Bar is on Grigori Afxentiou Street, which ends at Larnaca Police Station, opposite from the Easy Hotel. I had noticed this bar on previous trips to town, and thought it looked nice from the outside, but had not expected them to accept dogs and therefore put off giving it a go. 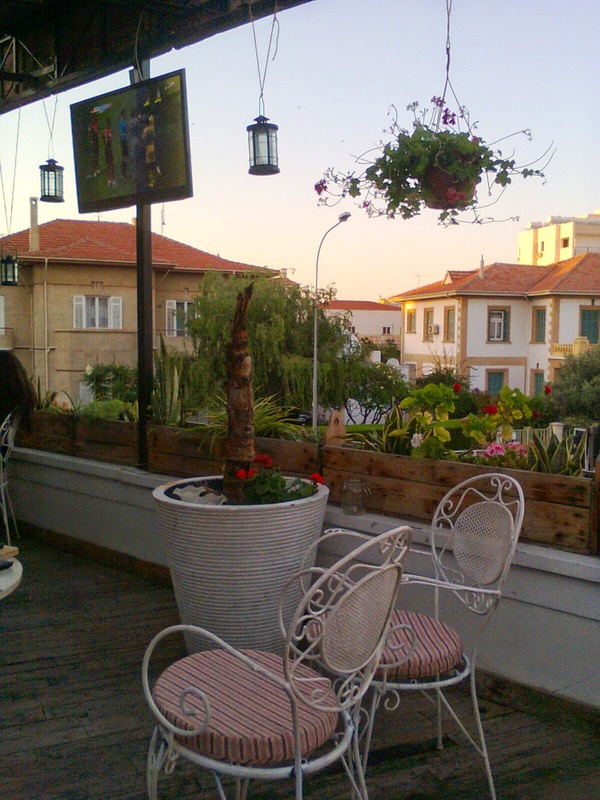 Le Jardin is beautifully decorated with lots of plants, comfortable sofas, inviting lighting. Everyone in there was immediately very friendly and gave Sage a lot of attention. There was another group already there with their dog, a friendly Pomeranian who seemed like quite a regular there. 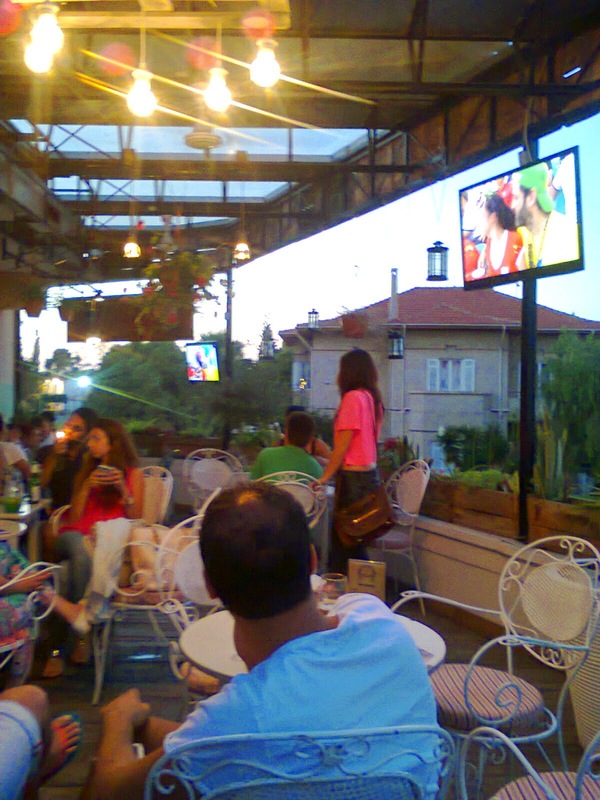 The match was showing in the early evening, and as it started to get dark I was half distracted from the tvs by the hundreds of swallows diving around the skies around the rooftop bar, as well as by the changing colours from the setting sun. Despite being situated on a main, busy road, as soon as you climb the stairs up to the bar, it is very easy to forget you in the middle of town. From Sage's point of view, it was nice to get so much attention, but there wasn't much space for her to stretch out as the bar is quite small and narrow. Especially once it got dark, I was quite anxious that someone would step on her as I couldn't really find a corner to hide her away. From the football point of view, this was a lovely place to watch the game. 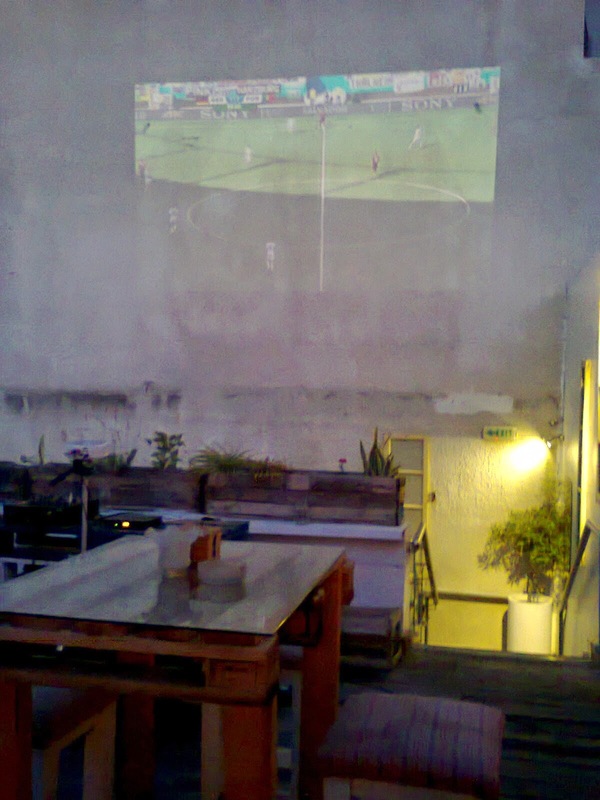 There were 2 tv screens in the early evening, and as it got dark they projected the screen onto the white wall at one end of the bar so it was even easier to get a good view. The bar serves cocktails and bottles of beer, as well as sandwiches and wraps. I paid a fairly standard €3 for a coffee. Le Jardin is a beautifully decorated bar, with a lovely relaxed atmosphere. Simply because of its size and lay out, I might advise taking a large dog somewhere where there is a bit more space, although it's great to have more options, particularly when they are as nice as this one.